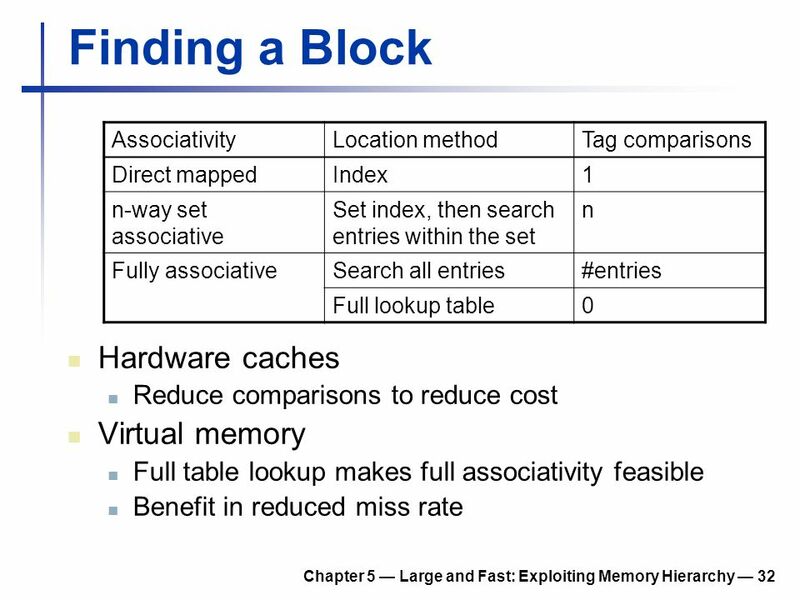 Download ppt "Morgan Kaufmann Publishers Large and Fast: Exploiting Memory Hierarchy"
Virtual Memory 1 Computer Organization II © McQuain Virtual Memory Use main memory as a cache for secondary (disk) storage – Managed jointly. 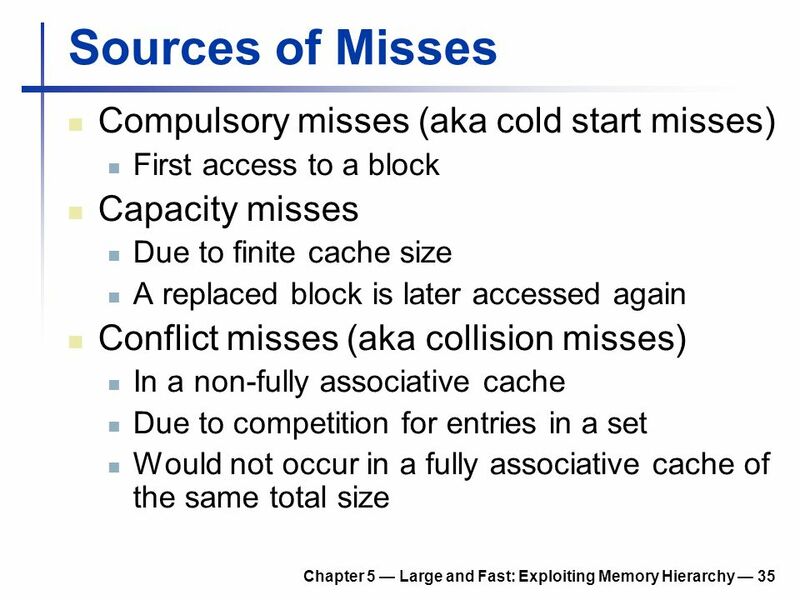 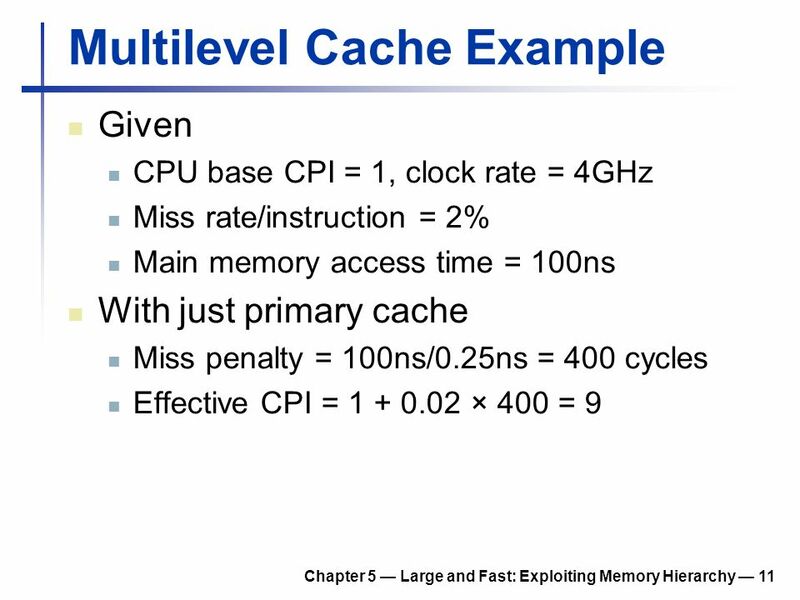 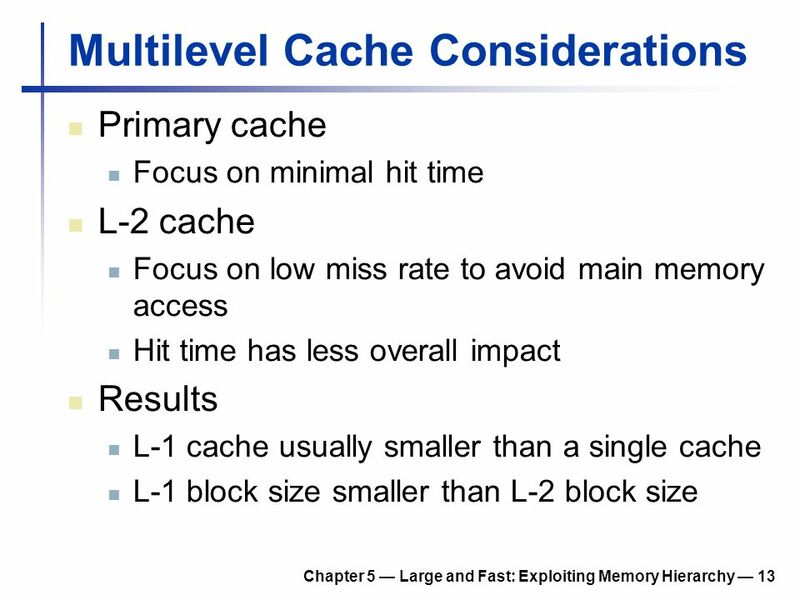 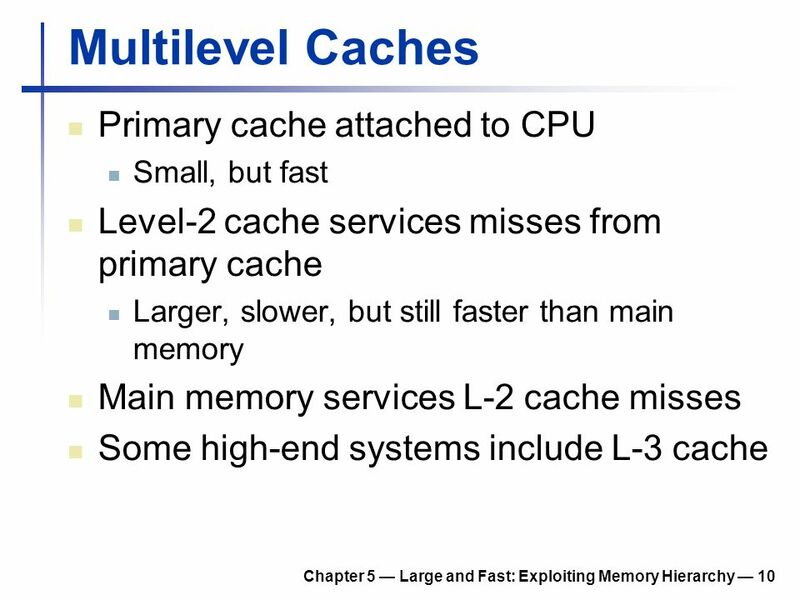 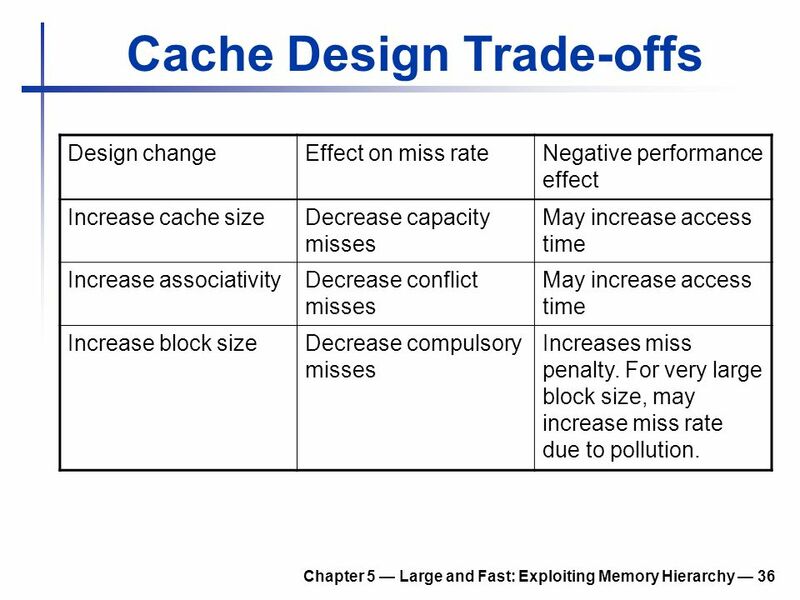 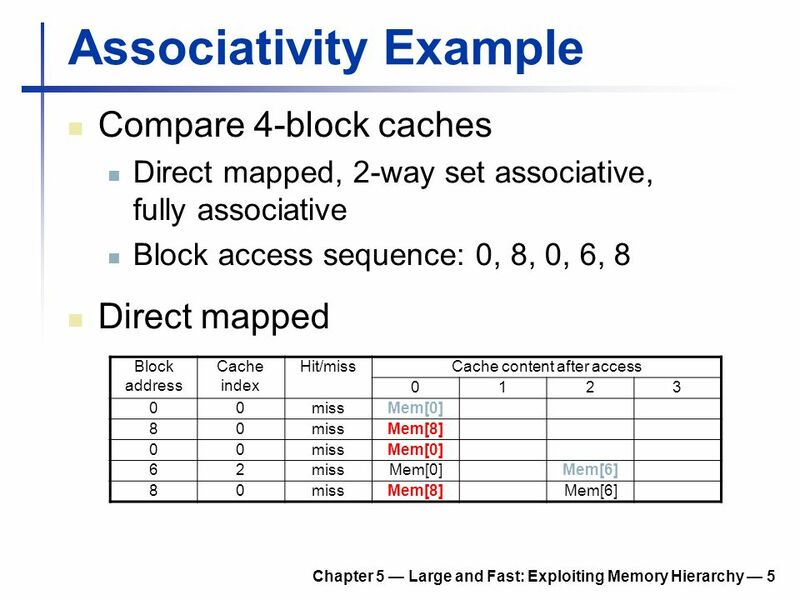 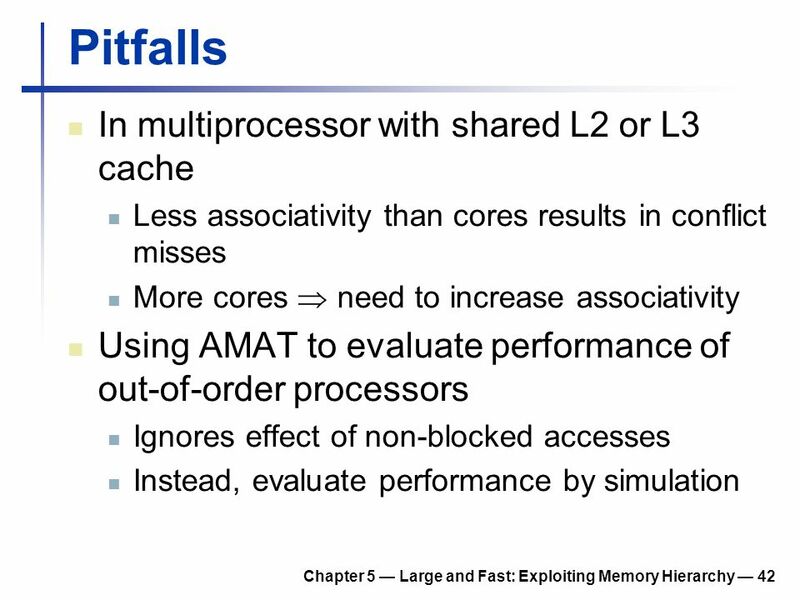 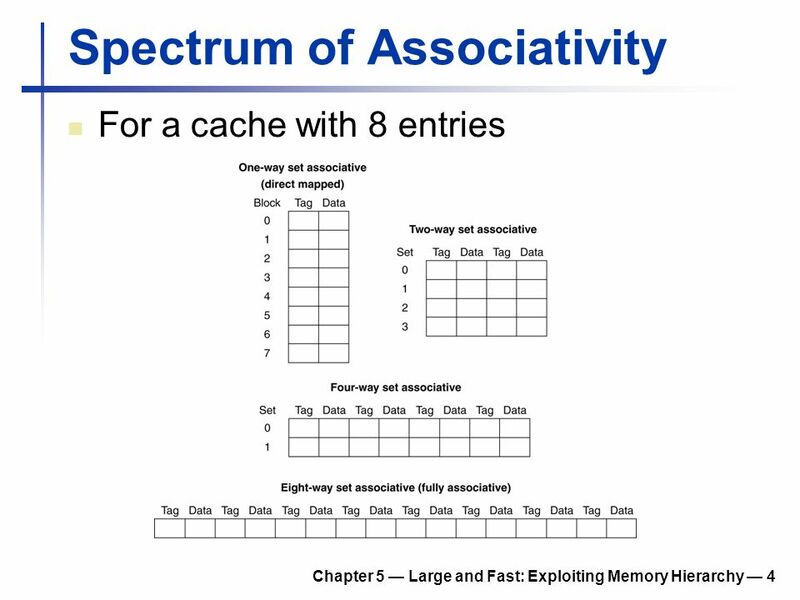 1 Lecture 13: Cache and Virtual Memroy Review Cache optimization approaches, cache miss classification, Adapted from UCB CS252 S01. 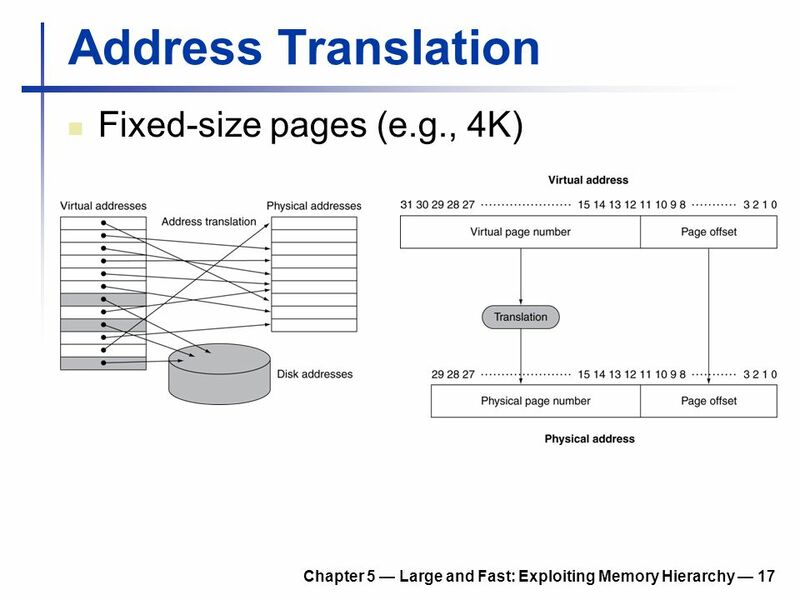 Lecture 34: Chapter 5 Today’s topic –Virtual Memories 1. 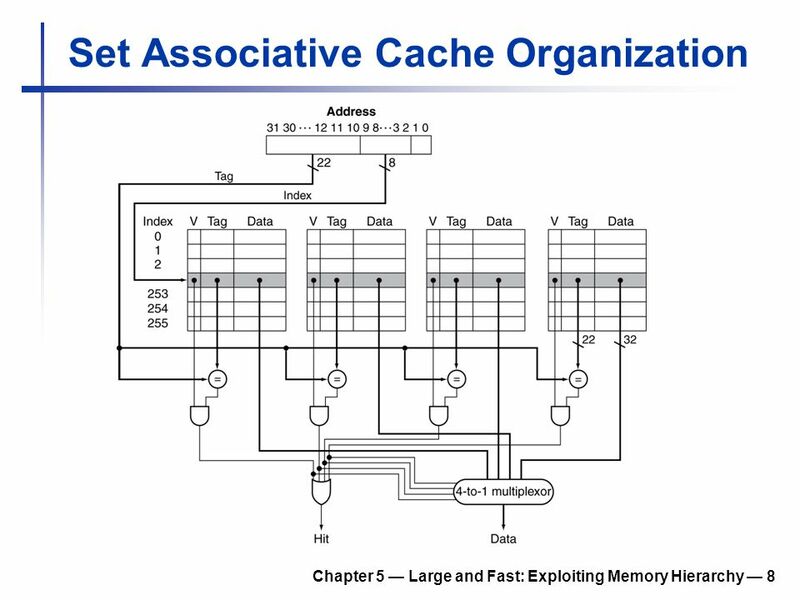 Caching IV Andreas Klappenecker CPSC321 Computer Architecture. 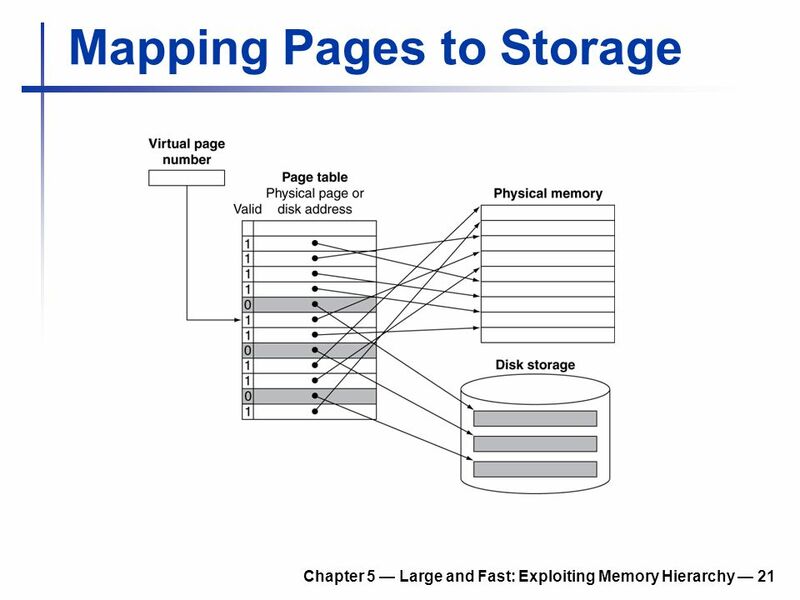 Memory/Storage Architecture Lab Computer Architecture Virtual Memory. 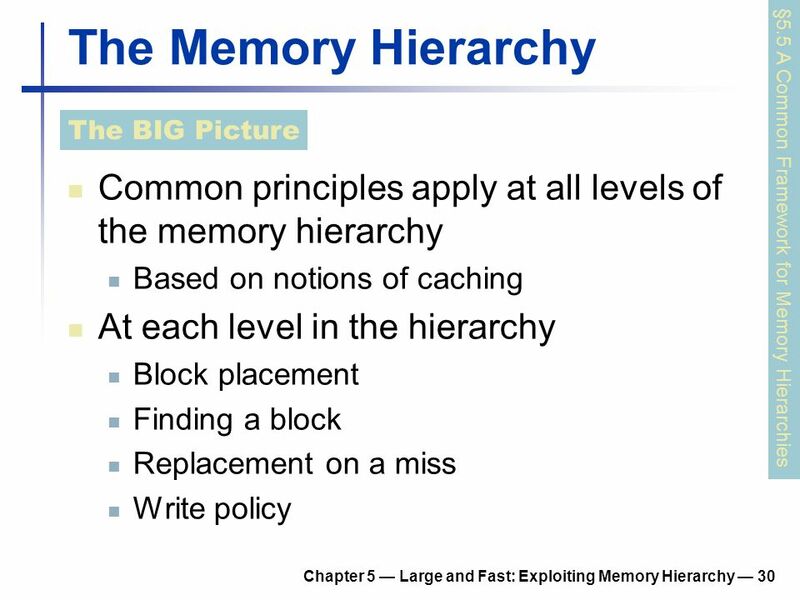 The Memory Hierarchy (Lectures #24) ECE 445 – Computer Organization The slides included herein were taken from the materials accompanying Computer Organization. 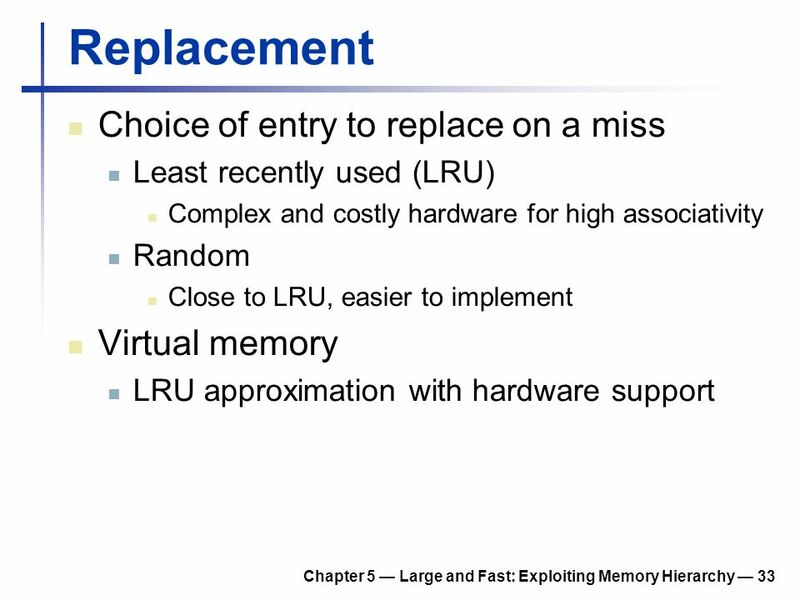 S.1 Review: The Memory Hierarchy Increasing distance from the processor in access time L1$ L2$ Main Memory Secondary Memory Processor (Relative) size of. 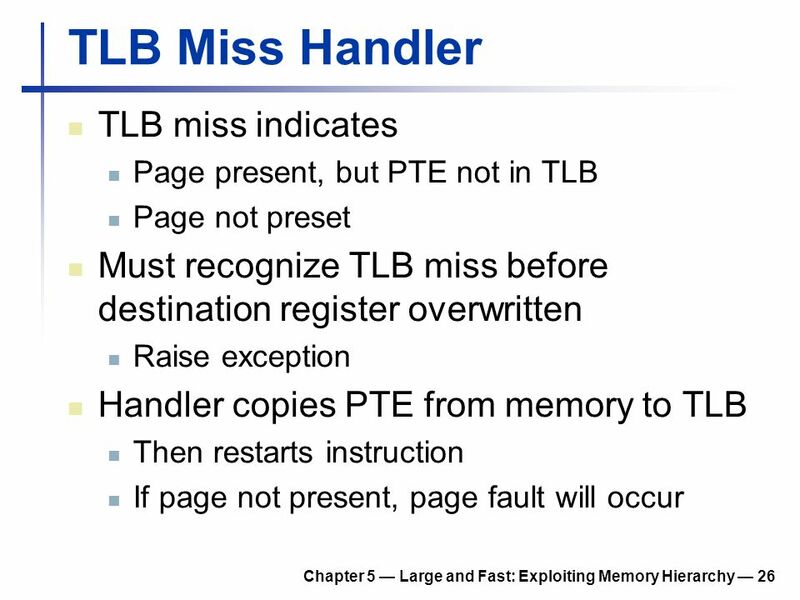 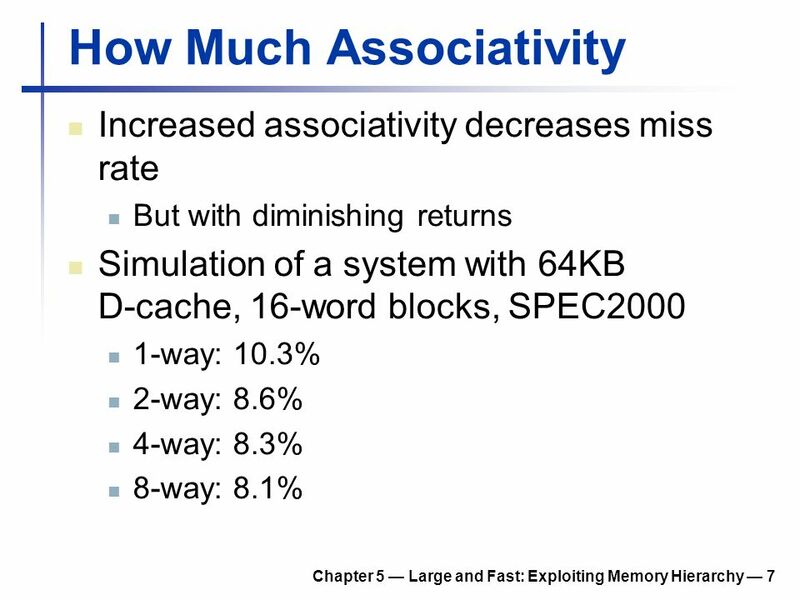 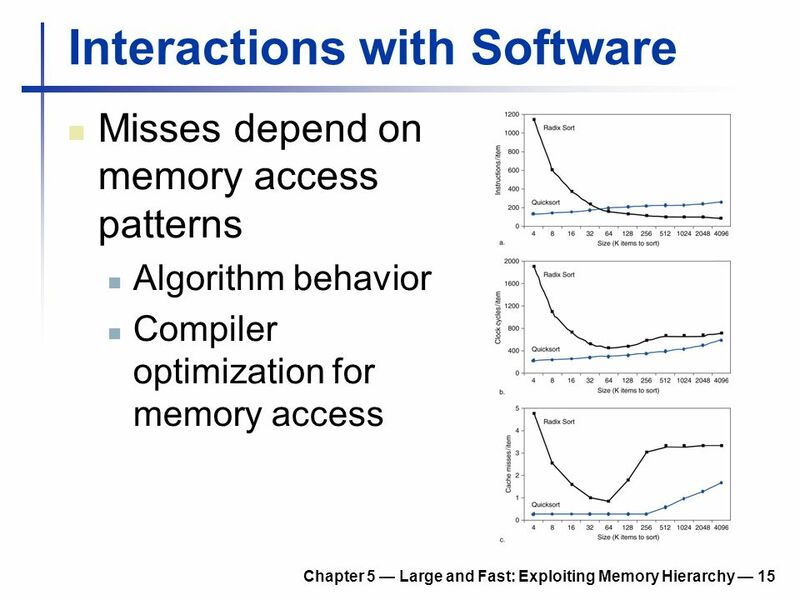 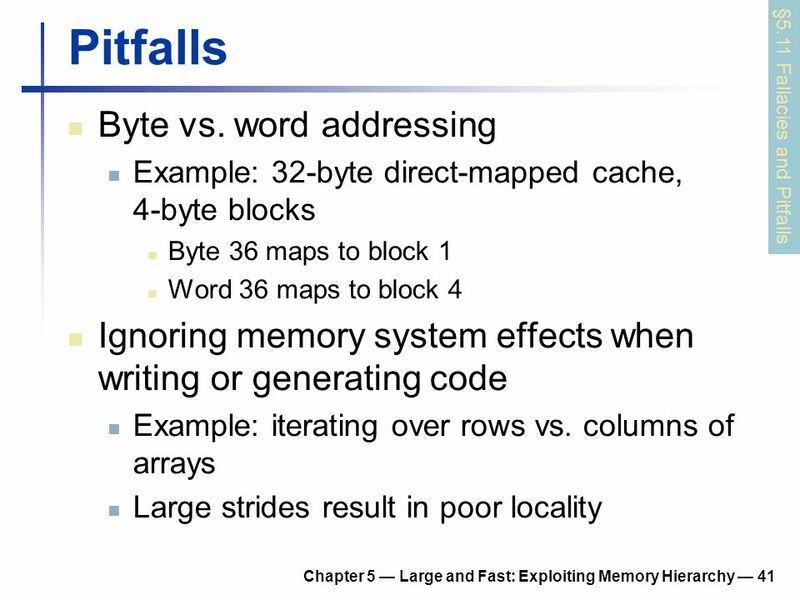 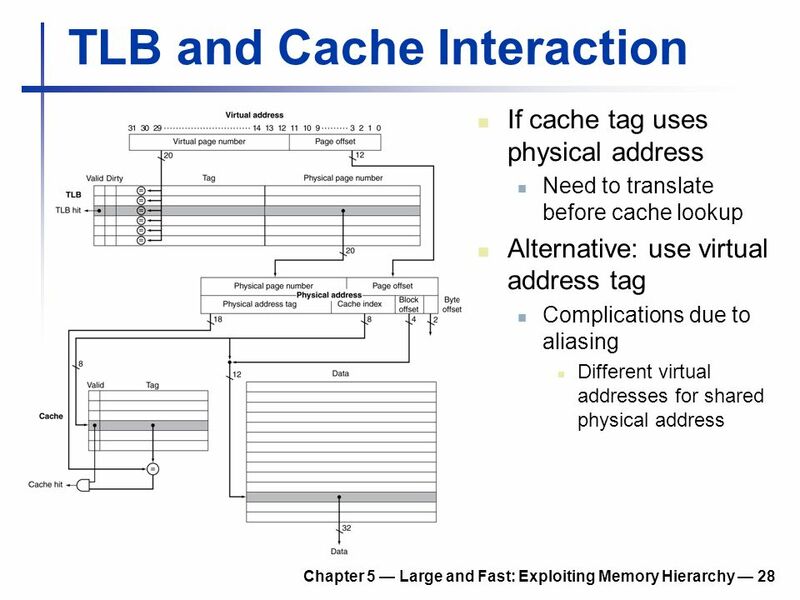 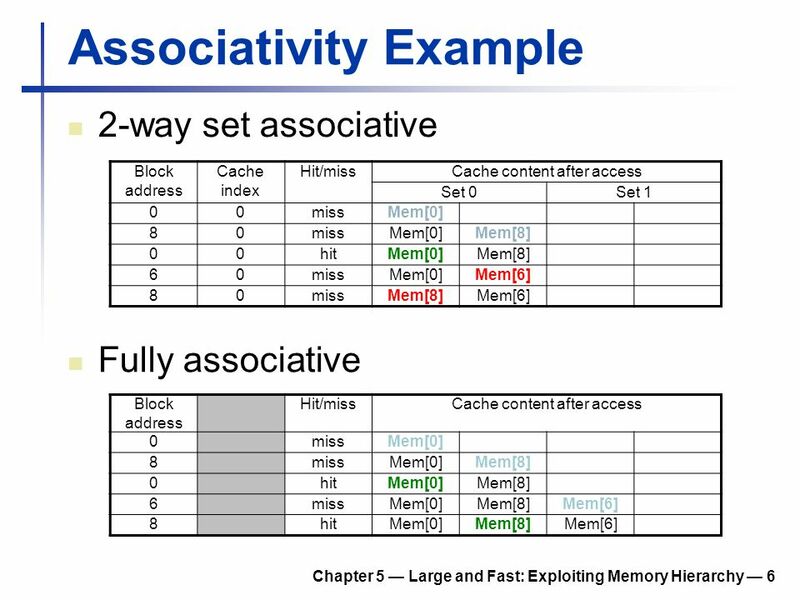 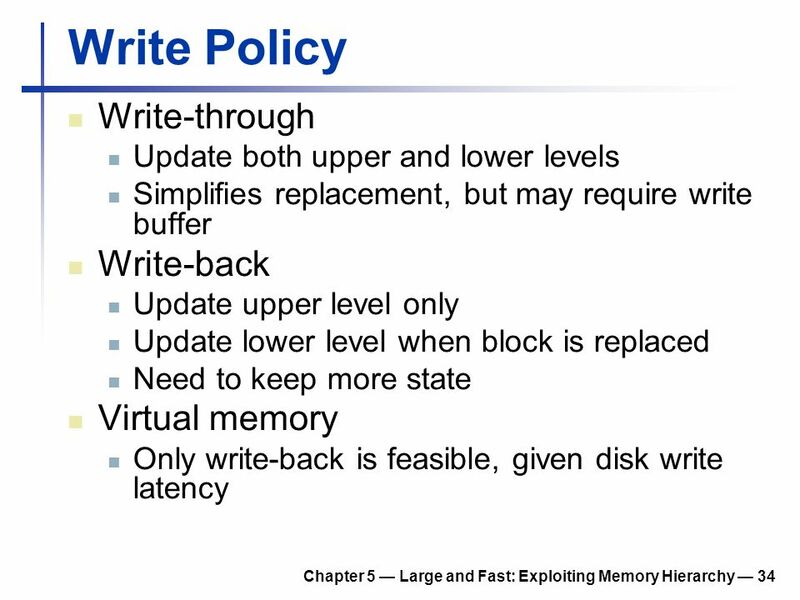 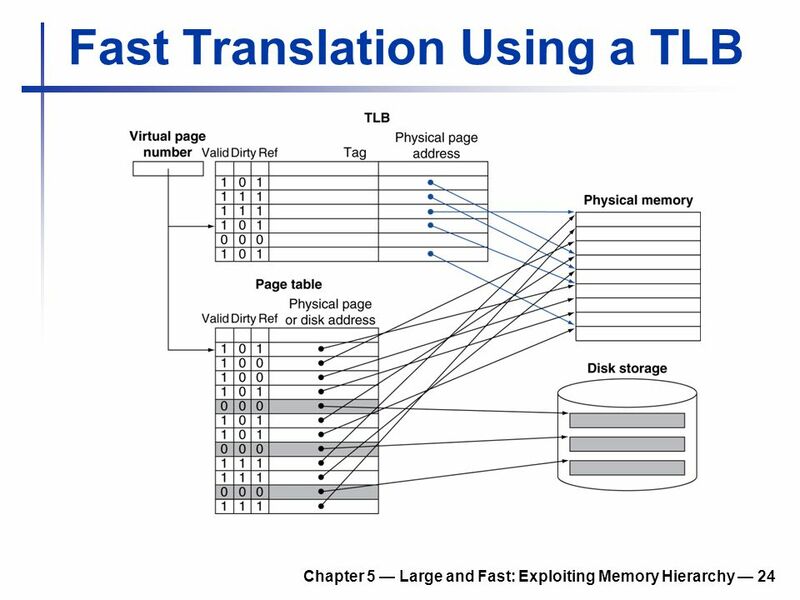 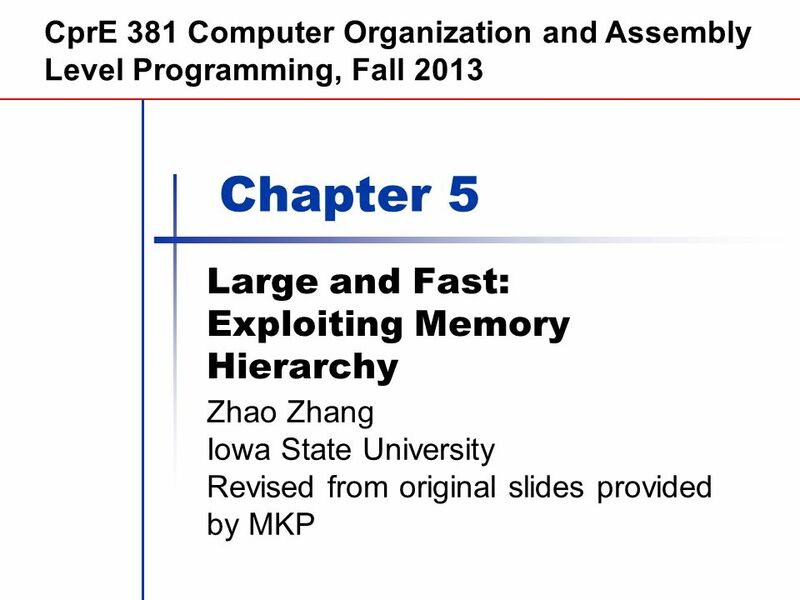 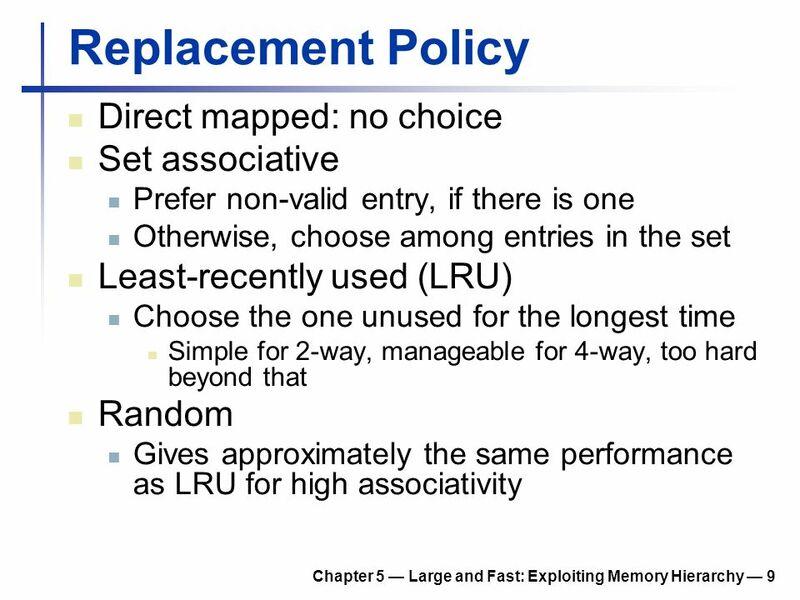 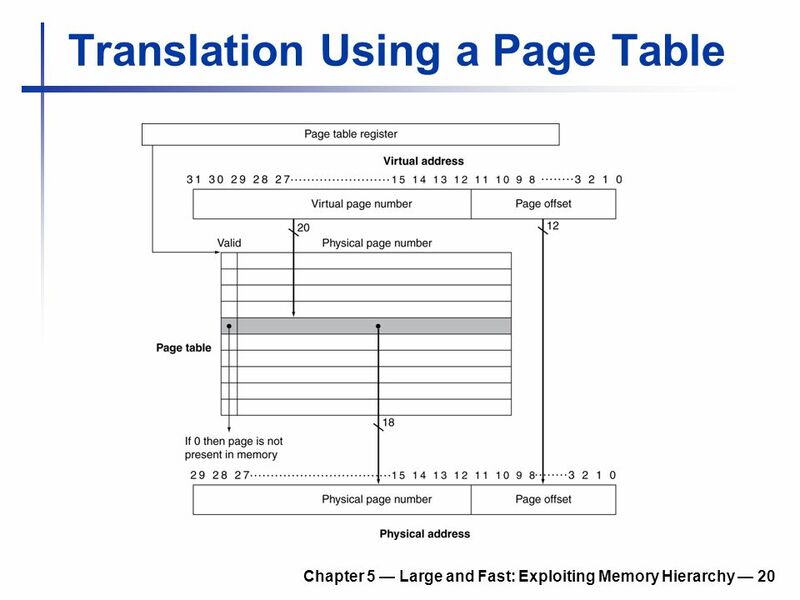 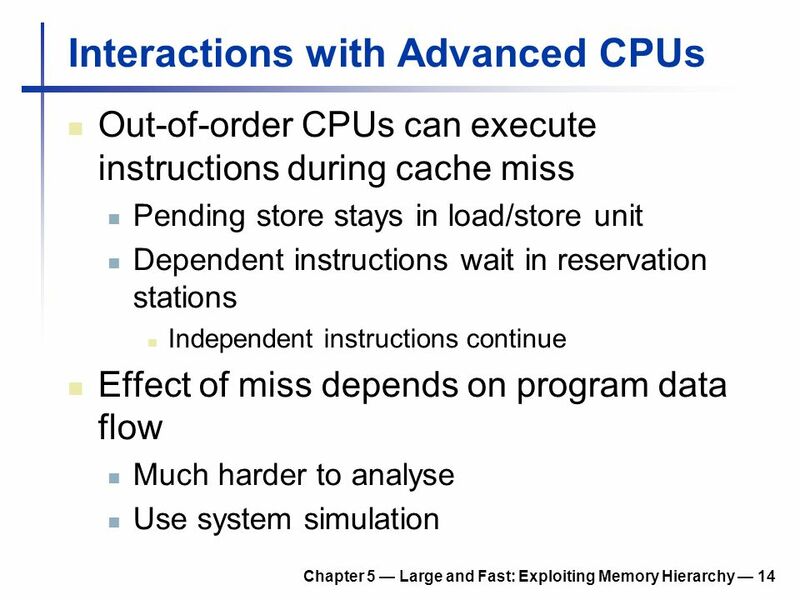 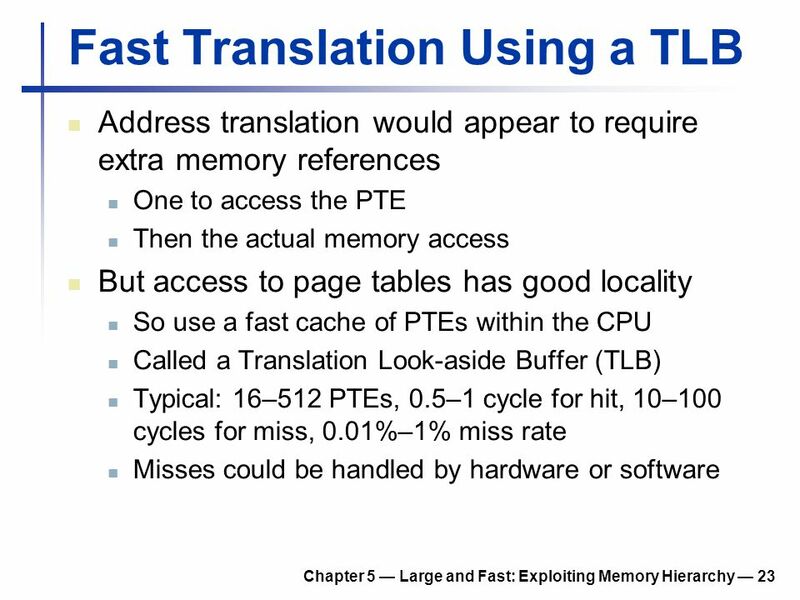 Chapter 7 Large and Fast: Exploiting Memory Hierarchy Bo Cheng. 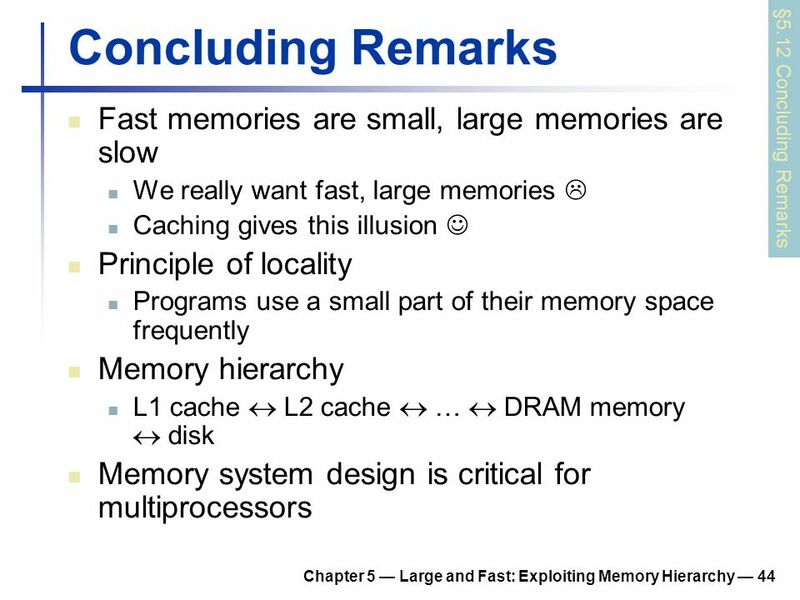 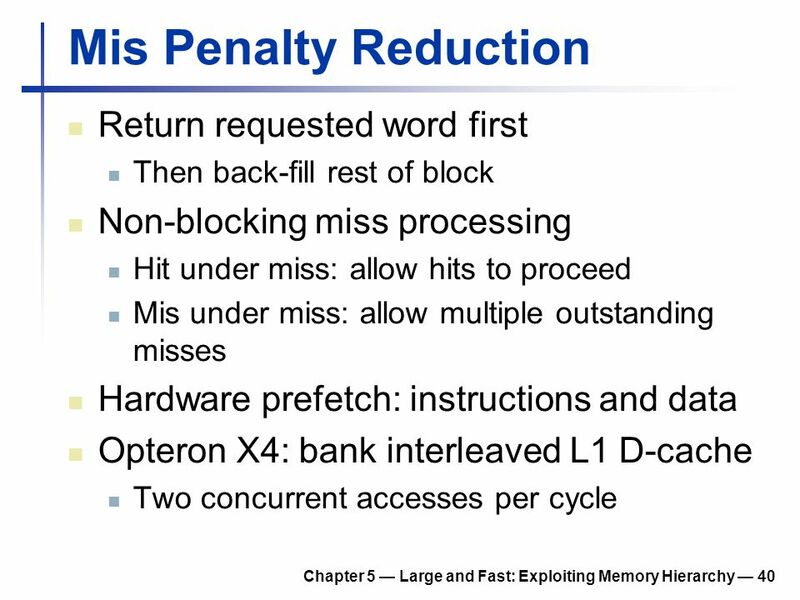 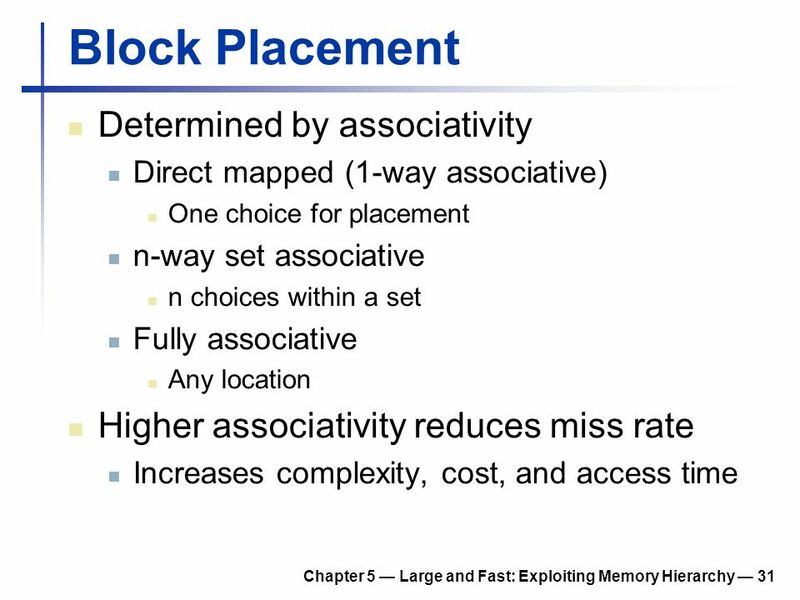 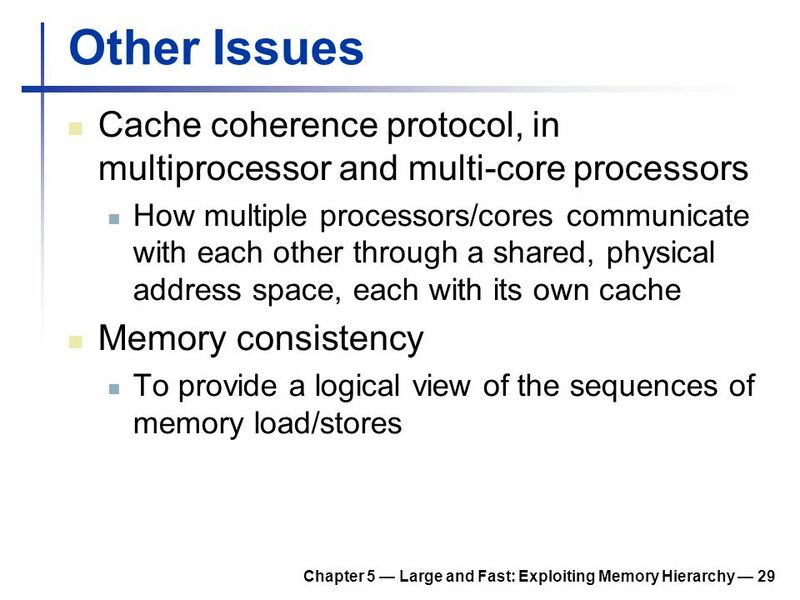 The Memory Hierarchy II CPSC 321 Andreas Klappenecker. 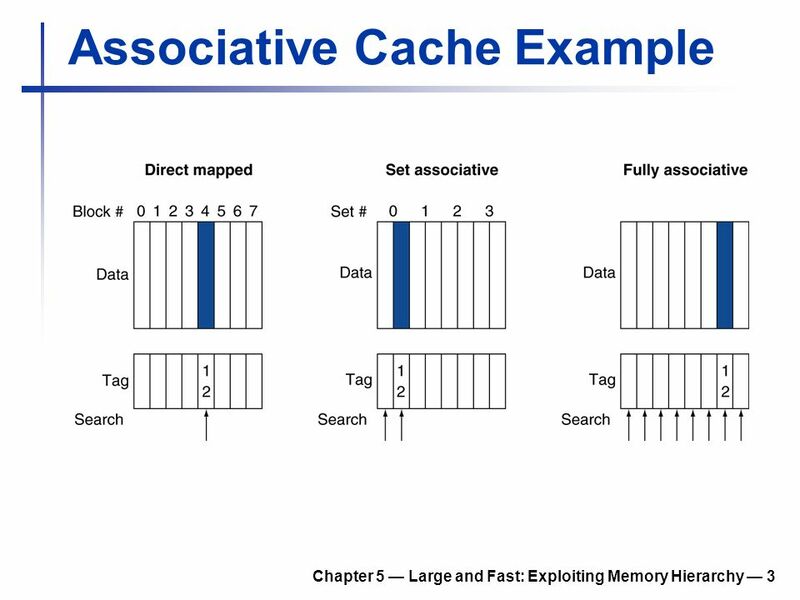 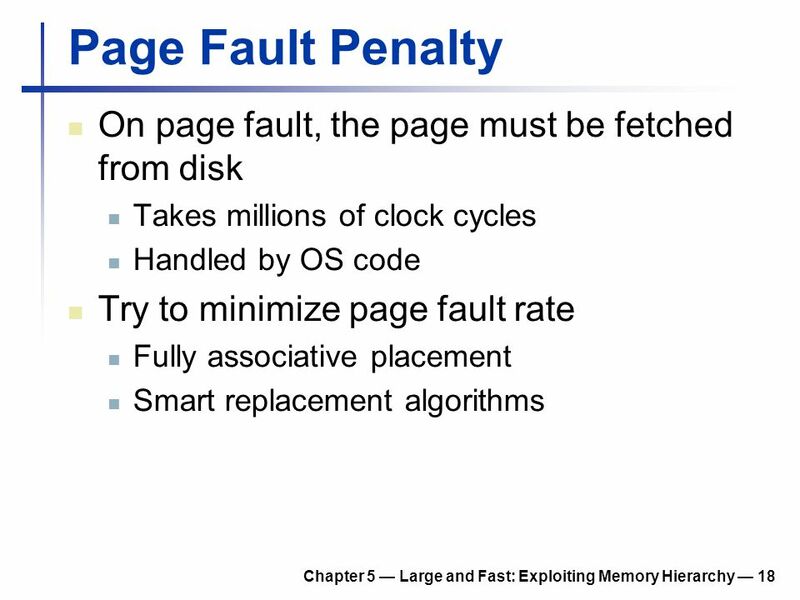 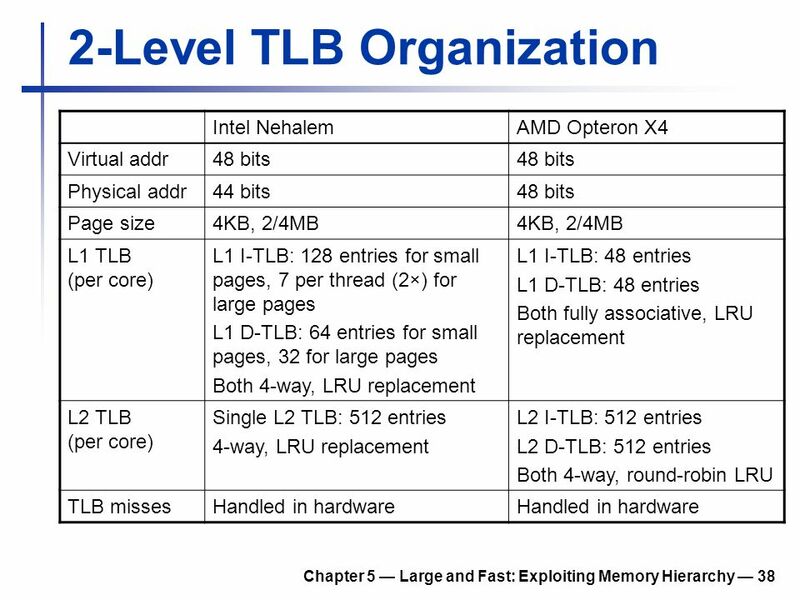 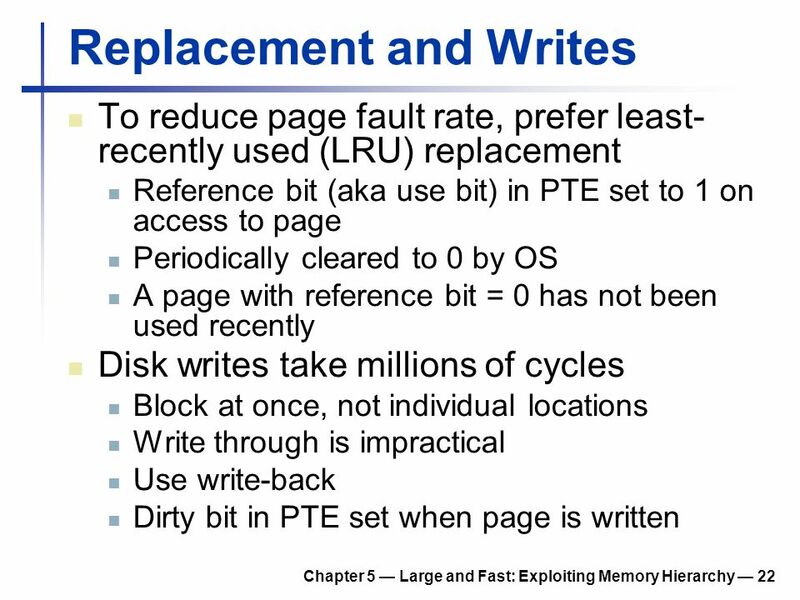 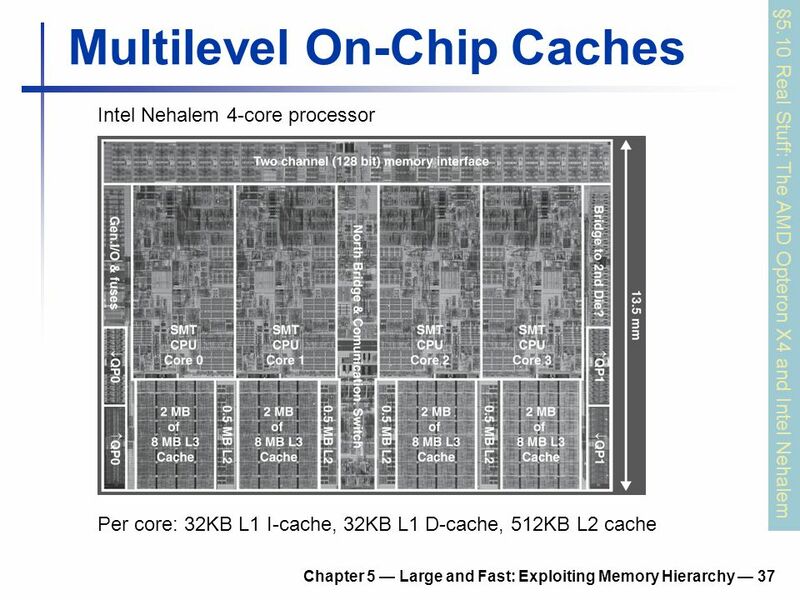 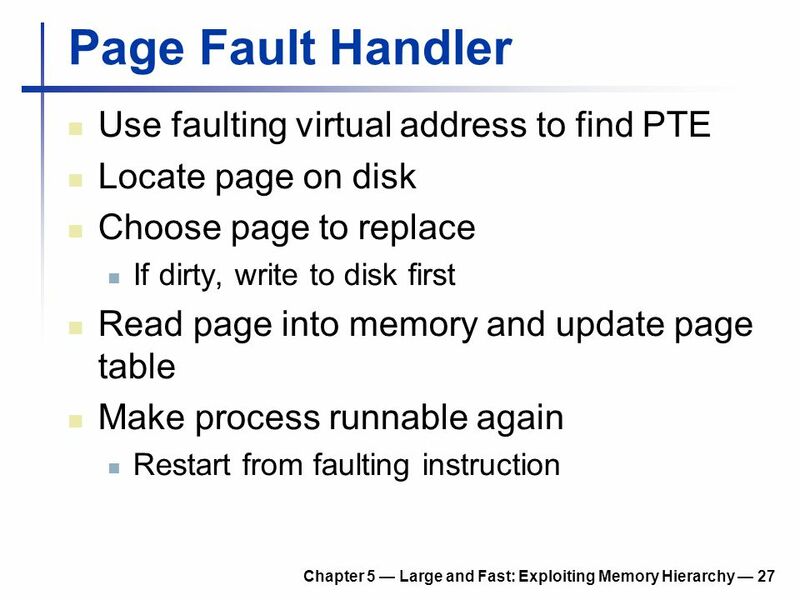 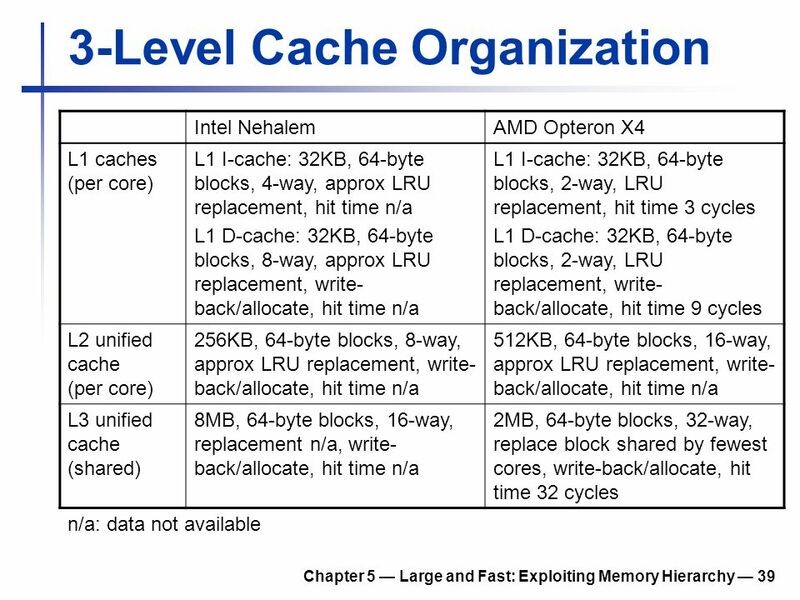 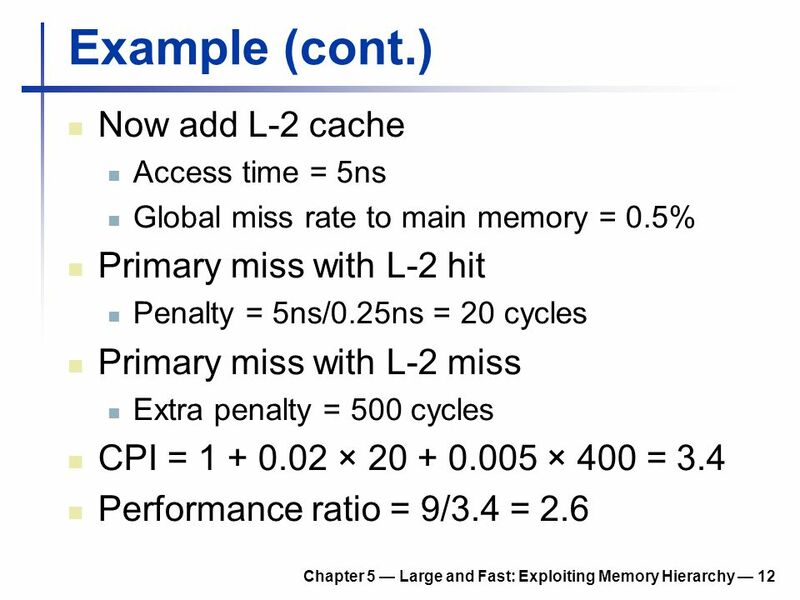 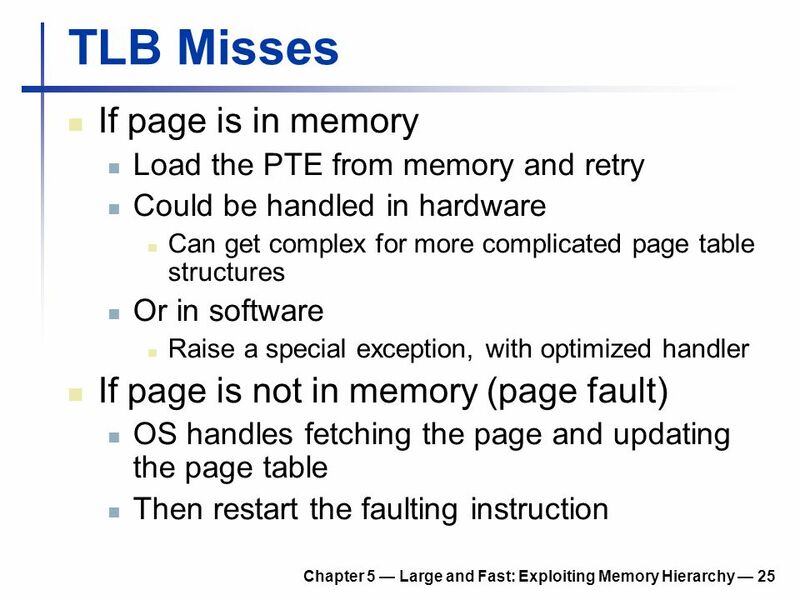 Chapter 5 Large and Fast: Exploiting Memory Hierarchy. 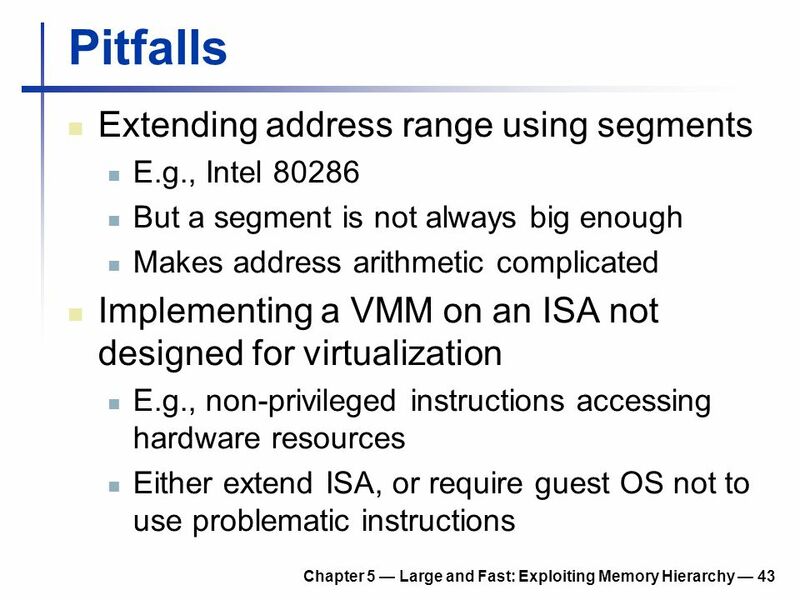 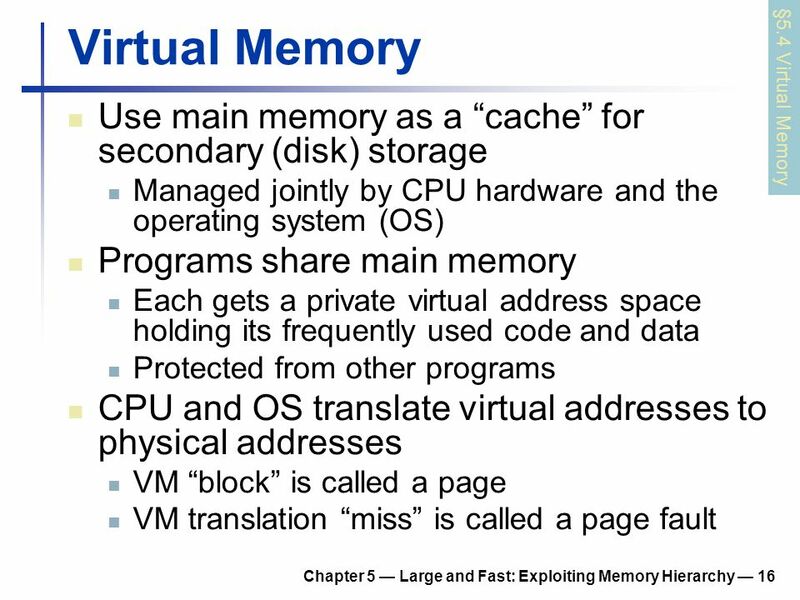 Virtual Memory and Paging J. Nelson Amaral. 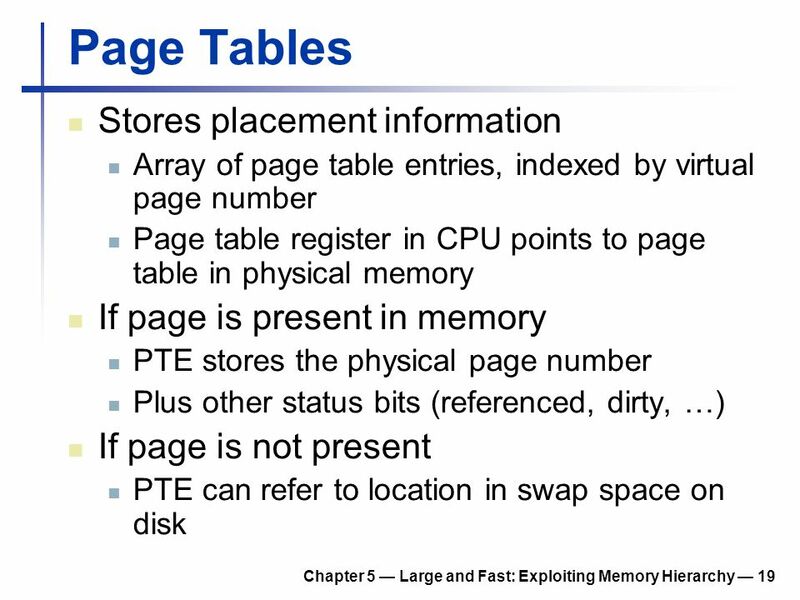 Large Data Sets Size of address space: – 32-bit machines: 2 32 = 4 GB – 64-bit machines: 2 64 = a huge number. 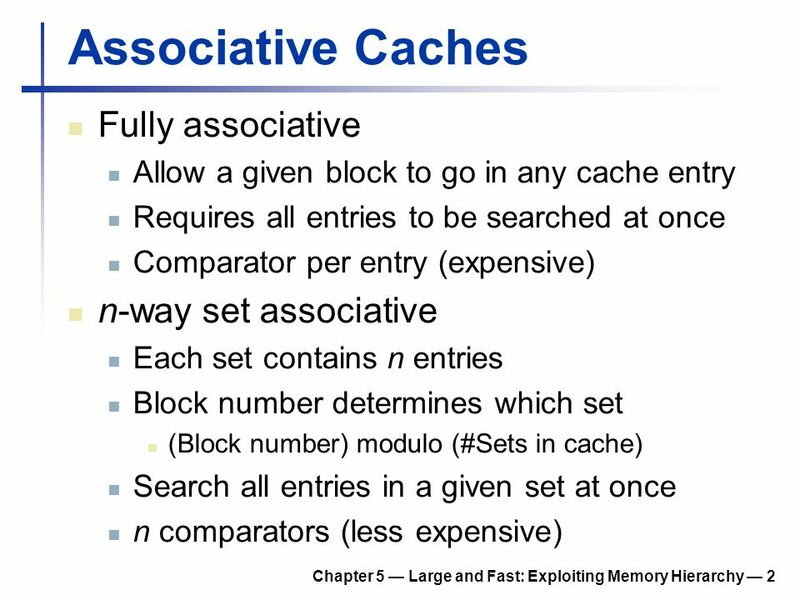 CS2100 Computer Organisation Cache II (AY2010/2011) Semester 2.